Slipping into the sea. All photos by Sara Blumberg. Looking for a place to really hermit out? Pantelleria, the North Africa-meets-Italy island between Sicily and Tunisia, may be the ultimate in escapism. Three-time visitor Sara Blumberg knows her way around the private and remote Mediterranean isle. PANTELLERIA, Italy – Pantelleria is a volcanic island that sits alone in the Mediterranean Sea, south of Sicily and 35 miles east of Tunisia. 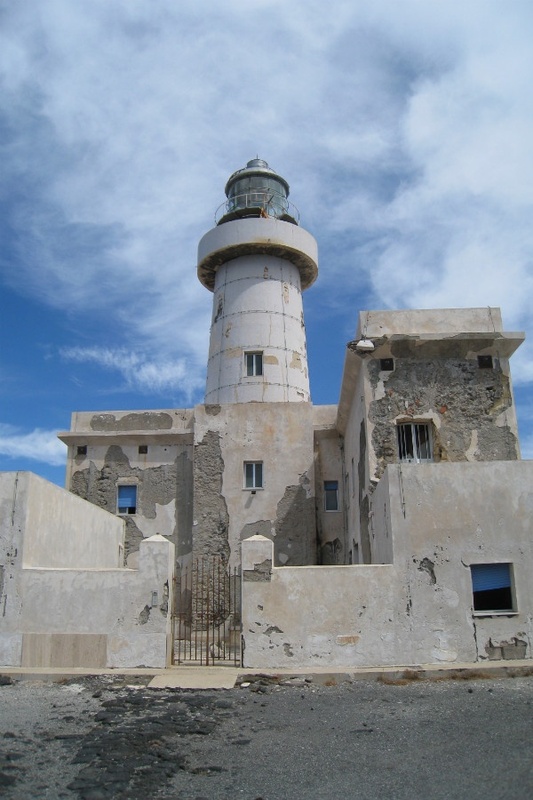 One of Italy's southernmost points, its remote location ensures it stays under the radar for most tourists — and even for most Italians. Pantelleria is at once worth the trip and hard to embrace. My husband Jim Oliveira and I have been three times in the past several years, and for the sake of this story I will pretend that I understand this jagged island marvel. Pantelleria is beautiful — beyond beautiful — but its rocky terrain, sheer cliffs, and tiny roads make exploring a challenge. We learned on our first trip that sometimes the challenge begins prior to arrival. As we approached Pantelleria's airport (read: landing strip) on a flight from Palermo, Sicily, the plane suddenly rose back into the air. As a fellow passenger explained it, landing on Pantelleria requires near perfect conditions because the airport sits at the edge of a mountain, which can prevent navigational instruments from being much use. The pilot tried three more times, gave up, and delivered us to the Trapani airport (read: shed) instead, where we ended up on a ferry when hopes for an evening flight disappeared. 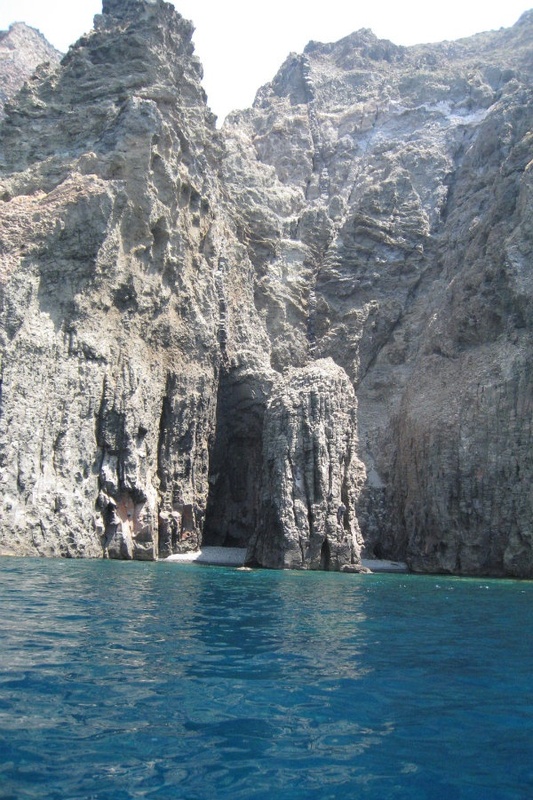 There are two ways to see Pantelleria, from the land and from the sea. A drive from one end of the island to the other takes about 45 minutes and can follow several routes. High and winding narrow roads hug the land near the shore; interior roads give a good view of the island's small villages and daily life. Like the American Southwest — dry with open skies and unbelievably dramatic sunsets, this is an island of contrasts, where dusty hills rise and dip into fertile valleys filled with caper farms and vineyards growing the famous indigenous zibibbo grapes, which make delicious passito and moscato wines. And the sea! The coastline is as hard to reach as it is breathtaking. While there are a handful of accessible spots around the island, a seaside adventure usually begins with a steep and daring decent down narrow paths lined with sharp volcanic rock and massive cacti. Gorgeous blue-green and wildly clear water is the just reward. If you don't want to make the climb down to sea from land (have courage! ), you can rent a boat, hugging the coast and dropping anchor wherever you like (my preference: less courage!). You won't find a grain of sand anywhere, and the coast's sharp edges are not to be taken lightly. 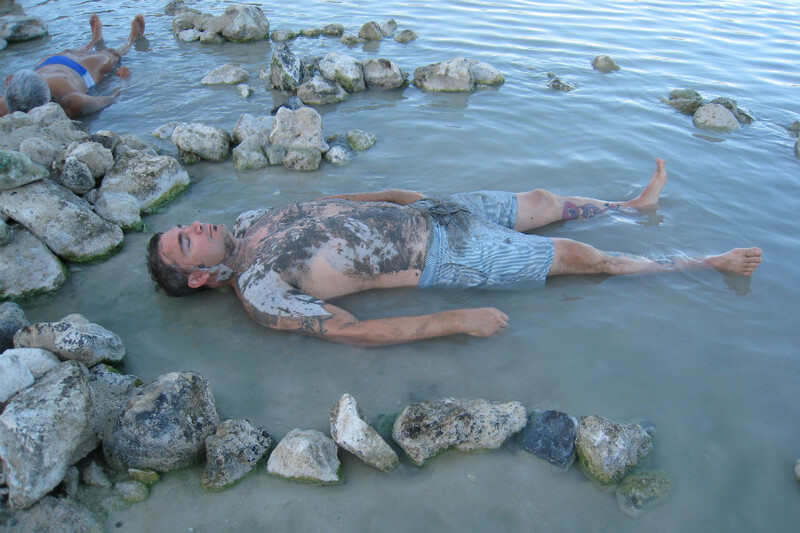 But you will find natural hot springs hidden in secret coves and dramatic outcroppings and soaring cliffs above — ample distraction from the physical perils. The two most dramatic views are at Elefante, an enormous outcropping of rock that resembles an elephant's trunk making an arch from land to sea, and Salta-la-Vecchia, a soaring and especially dramatic series of cliffs. The coastline is a near constant thrill, and the entire island can be visited in one glorious afternoon. 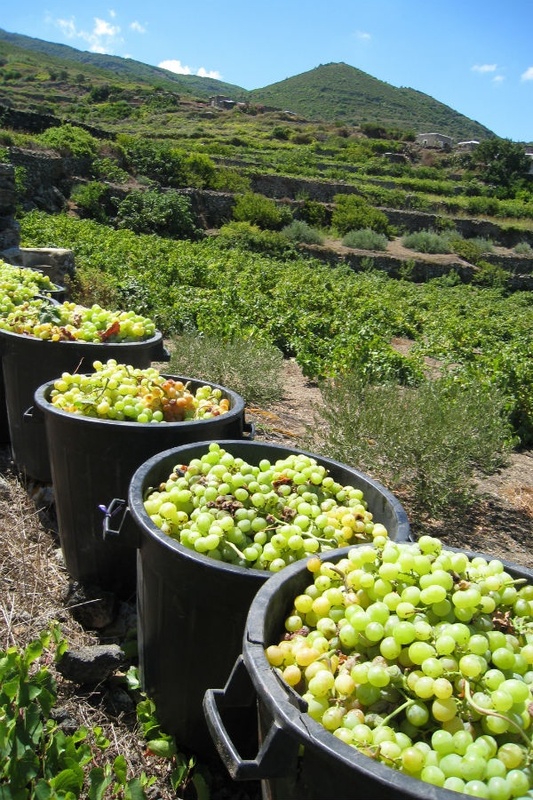 Of all the things that make Pantelleria unique, dammusi top my list. The small structures are composed of a volcanic rock called tufo and rise from the earth like orderly caves with straight walls and arching roofs. The absence of a water source on the island dictates a great deal of its architecture, not to mention the behavior of the Pantescans. Every dammuso has a cistern, and every garden has systems for catching every drop of water. Troughs are everywhere, ensuring that water running anywhere, anytime will be put to use. Because the island is so isolated, wind is a constant source of conversation and alarm. Even plants inhabit amazing architecture of their own. Giardini arabi (Arabic gardens) are stone structures similar to dammusi used to protect plants from the unrelenting winds. It is impossible not to notice that most of the vegetation on the island is stunted, and all the more amazing to consider the abundance of capers and grapes. Most island residents live in a series of small dusty towns and villages. 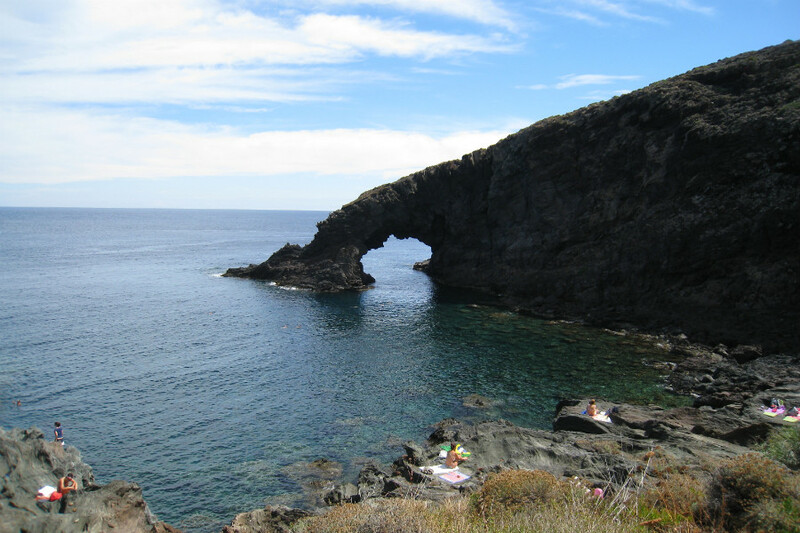 Pantelleria Town is the island's fairly large port. While not the most beautiful, it's a practical spot for basic services like gas, supermarkets, and larger wine shops. On our most recent visit, we rented a house on the opposite end of the island, ten minutes from the small town of Scauri — a typical town with small shops, bars, restaurants, and markets. Daily life is that of any small Italian village — older people meeting in the main square to share a coffee and watch the island's few tourists pass by. The locals here are tough — with good reason. The weather and wind are a constant concern, and travel on the narrow and rocky roads is not for the faint of heart. The rich and famous inhabit the island (Giorgio Armani among them), but without an invitation to the many fabulous homes hidden behind enormous plantings, one would never know it. Our daily routine was the same: drive to the beach in the morning, gather supplies in the afternoon, pick a new spot (a caper farm, a thermal pool, a small market) to explore. 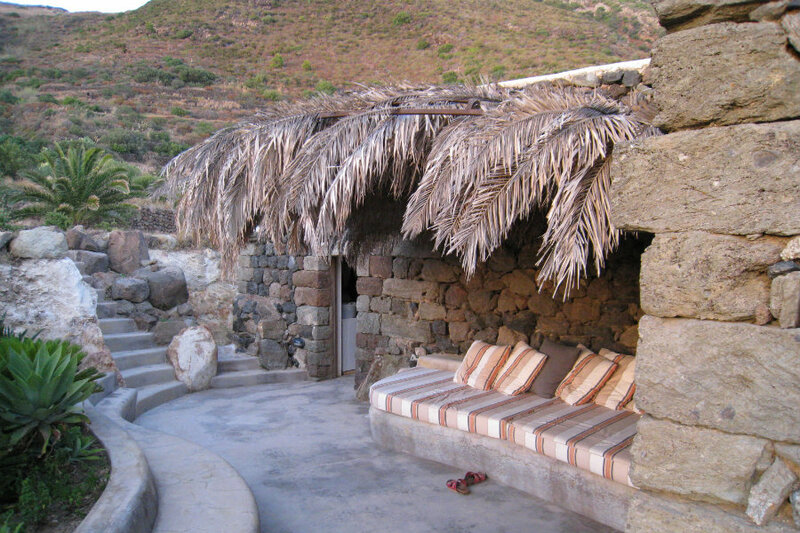 Pantelleria is excellent for adventurous people, even as it's very relaxing. By now, we have made friends on the island, so we usually spent our evenings entertaining guests and preparing meals together. Enjoying a day at the beach. The fact that I have not yet mentioned the food is testament to the distraction provided by Patelleria's natural wonders. But agriculture is a big part of life on the island. Capers and grapes may get top billing, but olives, tomatoes, and lemons also abound. Whatever the island does not produce is ferried in from Sicily. Our rented dammuso had a lovely kitchen, and gathering food from various small local shops was half the fun of being there. We found a fantastic, tiny bakery that sits below street level and faces the sea. They took almond paste to new heights in cookies made with orange peel and walnuts. At La Niccia, the island's best known restaurant, food is simply prepared and delicious. In good weather, the rooftop garden is peaceful and romantic. Owner and chef Gianni Busetta wrote a terrific cookbook filled with Pantescan specialties that makes for a great souvenir. On our most recent visit, we were treated to after-dinner passito and baccia, a delicate local funnel cake shaped like a snowflake filled with sweetened ricotta and topped with confectioner's sugar. There are a handful of other good spots for dinner, like U'Trattu in Rekhale, where the menu consists of basics like Pantesco salad with tomatoes, olives, potatoes, capers, and classic caponata. But as I said, the real fun here is buying and cooking local food from the tiny sources you stumble upon, then going back to your rented house and having fun with the fresh fish, homemade pasta, and authentic Italian wine. How to get there: Fly Alitalia direct from Rome (FCO) or Milan (MXP) on Saturdays and Sundays from June to Septemper to Pantelleria (PNL). Meridiana offers direct flights three times a day from Palermo (PMO) or Trapani (TPS). You can also fly Alitalia or Volotea from Venice (VCE). This is a pretty remote place, so don't be surprised if you have a layover. If you don't want to fly, take the 7-hour daily or overnight ferry from Trapani. 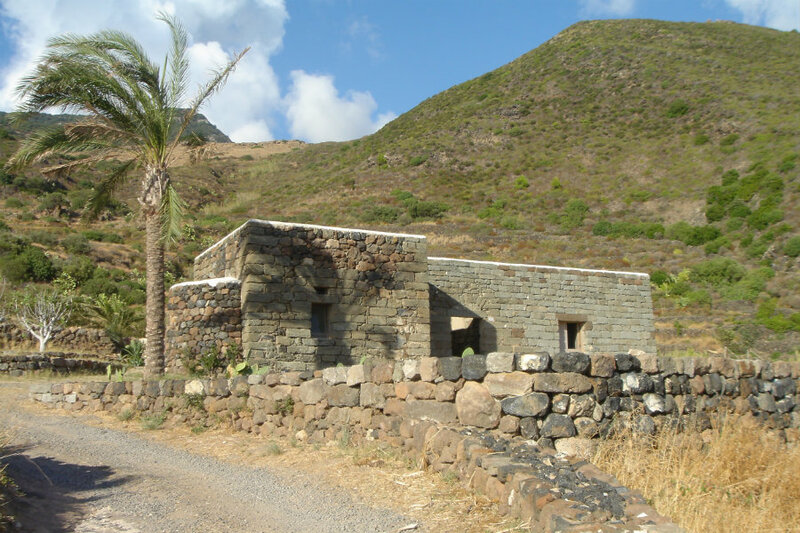 Getting around the island: We usually spend a week in Pantelleria, which is a good plan because direct flights from Milan, Venice, and Rome leave every Saturday. Renting a car is key and is easy to do at the airport. La Cossira is a good resource for flights, car rental, and transportation. Where to stay: We are a little spoiled because friends on the island tend to make arrangements for us, but Tenuta Borgia is a very elegant if very DIY resource for house rentals. When to go: Pantelleria is 35 miles off the coast of Tunisia, closer to Northern Africa than Italy, so summers can be sweltering. But in the winter you'll find yourself with nothing to do. The best times to go are May, June, September, and October. Sara is a New York City-based writer, curator, and expert in 20th-century Venetian glass. She travels for the sweet surprises of the present and sober reminders of the past.